New technologies shape everything around us and those changes affect eGaming operators and payment services they use. 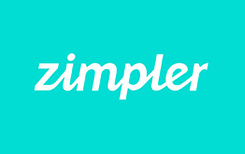 Zimpler was founded as a response to growing demand for mobile payment solutions. Its goal is to provide the best payment experience. Just recently Zimpler has been named the best payment processing operator by famous EGR. It’s a great honor which would be impossible to receive without having superb security in place. But despite the recognition of industry experts, this banking option isn’t widely accepted. It has very limited reach, especially if you compare it with leading companies. However, the company is determined to grow and partner with more merchandise. One of the greatest advantages this payment system can offer is unbeatable convenience. EGR was absolutely right by calling it the best payment operator of 2017. You won’t even have to spend time signing up. Once you are ready to top up your eGaming balance, choose Zimpler and enter your phone number. You’ll then receive SMS with PIN code you should enter. That’s it, your Zimpler account is created. To use the services there should be some money on your Zimpler balance. There are two options players can use to top up the account: credit card or bill. First option is preferred by most users because it’s faster and free. Choosing to upload money through bill means you’ll get a traditional mail. Inside an envelope you get a bill that must be paid. There are costs of using this method. Players will spend from 9 to 49 SEK on fees depending on the requested amount. To confirm that transaction has been received, Zimpler sends SMS. As soon as funds show up on your Zimpler balance, you can proceed to uploading funds. The process never changes. Punters provide their phone numbers, then wait SMS with a PIN code, which is always different from previous codes. Once PIN code is submitted, the payment is made. Zimpler casinos are appreciated by gamblers who don’t want to register with any system or download any application. As we’ve mentioned, entering phone number and PIN code is everything Zimpler customers are asked to provide. This method isn’t just fast, but also very secure. There are at least two layers of protection used. One is the most powerful encryption method and another one is PIN code generated each time you try to access your account. Gambling can sometimes get out of control, and it’s always great to have something to keep you from spending too much. That’s when Zimpler’s monthly spending budget feature comes in handy. By setting monthly limits, you can avoid depositing again and again, which is typical for players chasing their losses. And chasing losses is always a bad sign. Control your spendings with Zimpler, and you’ll never have to worry about losing money you can’t afford. Playing at casinos isn’t only about losing. Punters just need to get lucky to win extra credits and many lucky winners tend to cash out this money. Unfortunately, users won’t be able to withdraw their casino money using Zimpler. So far this option is not available, but introducing this feature is the company’s highest priority today.